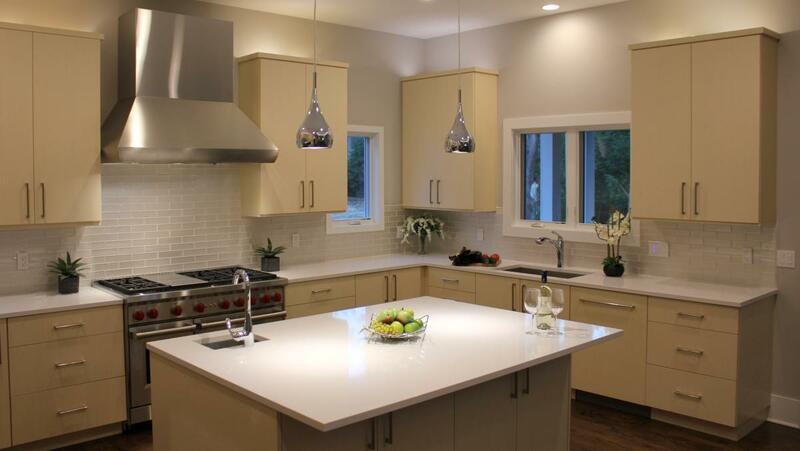 Ready to create your beautiful kitchen and baths? 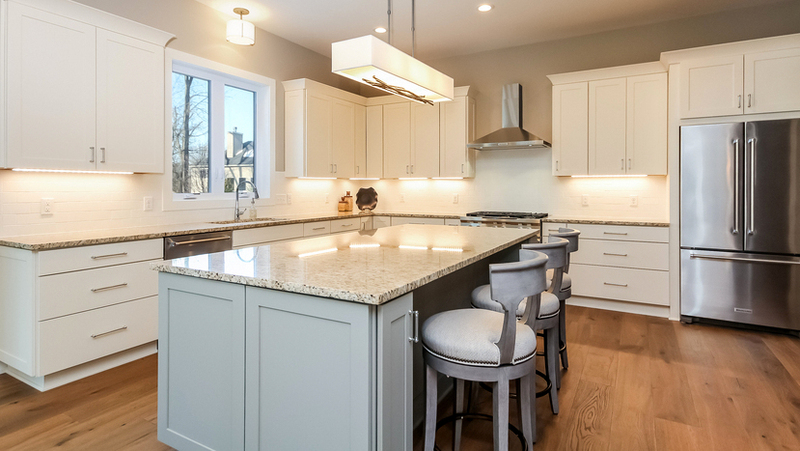 You probably have a good idea of how you want your cabinets to look, but aside from the color and wood species, there are many other details to consider. 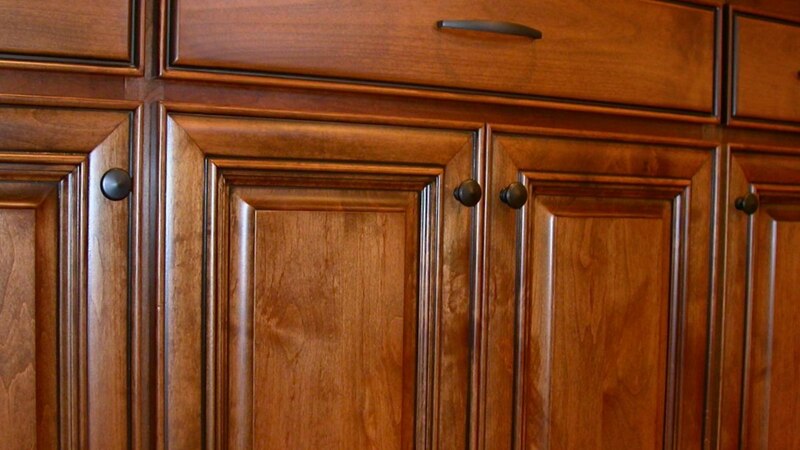 Understanding cabinet terms can be a big help when you're making your choices. Knowing the lingo of door and drawer styles is a good place to start. There are variations, but the door styles you'll most often hear are flat panel, raised panel, and slab..
Flat and raised panel doors refer to the type of panel that's between the frame that surrounds the perimeter of the door. 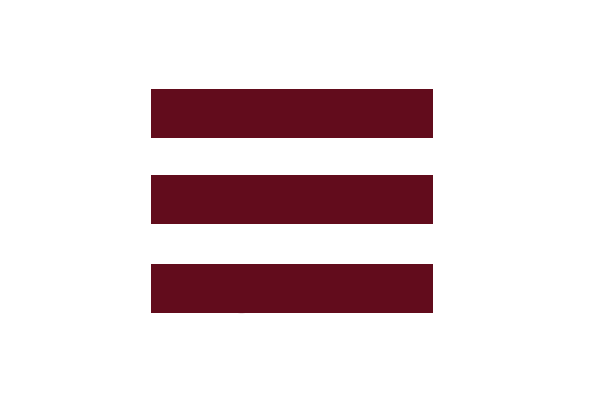 The frame consists of horizontal pieces (called rails) and vertical pieces (called stiles). FLAT PANEL DOORS (sometimes called recessed panel doors) are exactly what they sound like. The middle portion of the door, in between the rails and stiles, is flat. The rails and stiles can be flat, curved, carved or surrounded by molding. 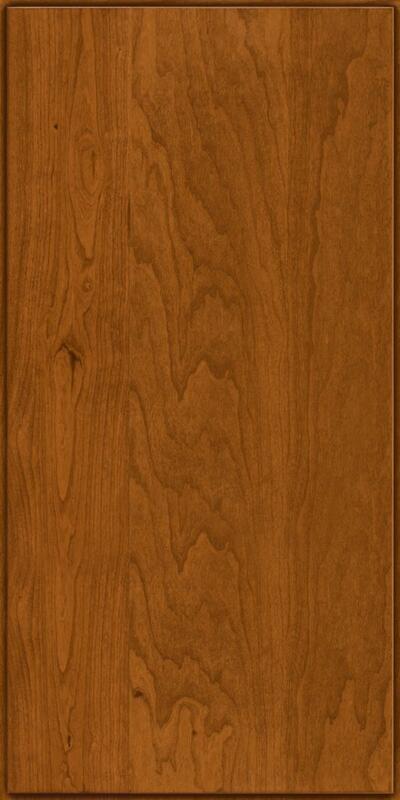 SHAKER DOORS are a variation of flat panel doors. A perennial favorite, the rails and stiles are squared off around the flat center panel. 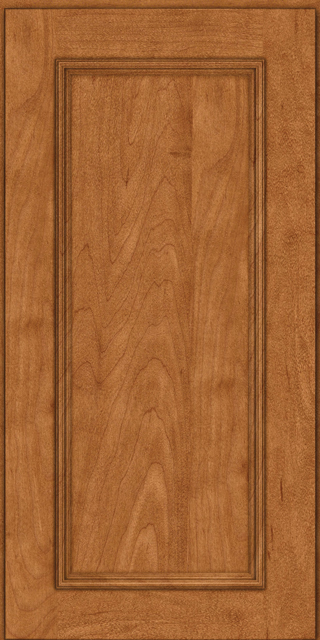 RAISED PANEL DOORS: The center panel of a raised panel door is exactly that: raised. It has a specific profile or contour that gives it a certain style. 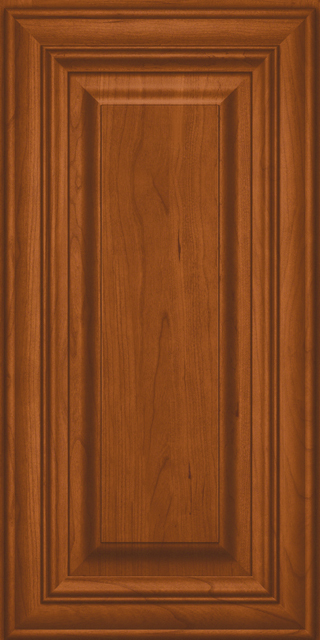 These doors are typically used in more traditional designs. 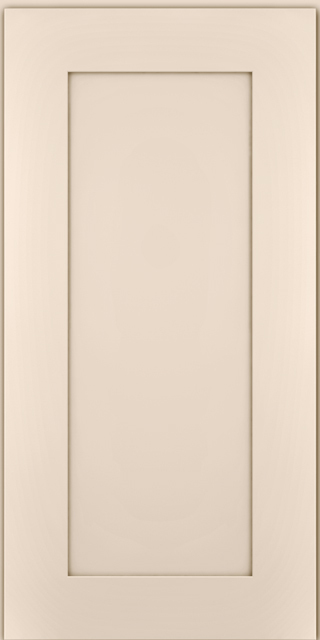 SLAB DOORS: These doors are not surrounded by a frame, but are completely flat. This style is a great fit for contemporary spaces. Slab doors always come with slab drawers, otherwise called flat front drawers. With flat or raised panel door styles, most manufacturers offer a choice of matching the drawer style to door style - called a 5 piece drawer - or of using a flat front drawer. Five piece drawers mirror the door style. Flat front drawers aren't necessarily completely flat. They generally have some details that complement the door style, and they can work fine with even the most ornate door style. Some homeowners even mix and match! 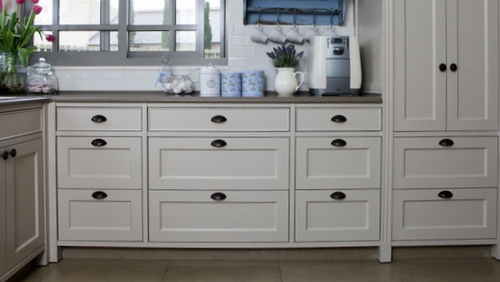 Flat front drawers are more economical than 5 piece drawers, but aside from cost, the width of your cabinets may influence the drawer style you choose. 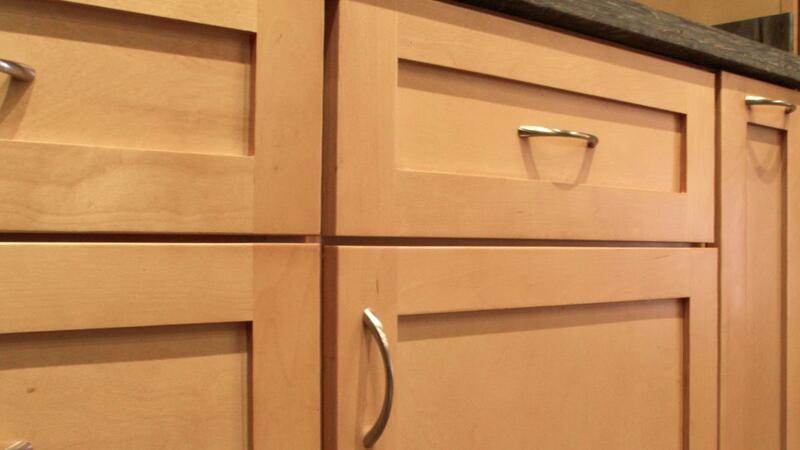 For example, if your cabinets are narrow, will the space in the center of a 5 piece drawer front accomodate the hardware you're dreaming about? So how do you choose? There is no right or wrong choice. Door and drawer style is strictly your personal preference. My advice? Choose what you love!